Obituary – Carrier, Arthur Burl « Perry High School Alumni Association, Inc.
F.F.A. 46-60, F.F.A. Secretary 49-50, Wrestling 49-50. Arthur Burl Carrier passed from this life surrounded by family on June 22, 2018 in Stillwater. Funeral services will be at 2:00 p.m. Wednesday, June 27, 2018 at the First Christian Church. Interment will follow at Fairlawn Cemetery. Strode Funeral Home is in charge of the arrangements. 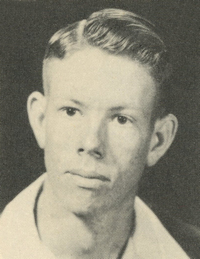 Arthur Burl Carrier was born on October 22, 1931 in Perry, OK. He was the oldest son of Arthur Benjamin and Ethel Golliver Carrier. They raised him on a farm west of Perry, which his grandfather had homesteaded. During his youth, he attended White school and graduated from Perry High School in 1950, where he discovered a love for Agriculture. He was proud that he received his Master Farmer FFA degree along with his friend Bart Brorsen. In November 1952, he was drafted into the army with his basic training being operating heavy equipment. After basic training, he was assigned to Pepperall Air Force Base in Newfoundland, where he operated a crane unloading ships in the bay. Burl and Rena Rupp were married in the Zion Lutheran Church east of Perry on November 14, 1954. He was a proud and loving father of three children: Russell, Shelley and Terri. In July 1958, Burl and Rena moved to Stillwater and established Carrier Ditching and Excavating. It was not long until he was well known throughout the area as an excellent backhoe operator. He was proud that his son, Rusty and grandson Ryan are a part of the business and are also well known as equipment operators. He enjoyed working side-by-side with all his employees. He appreciated the loyalty and friendship of his longtime employee, Delbert Anderson. Burl and David Lambert co-owned Stillwater Sand and Gravel Company. He was always grateful for Paul and Susan Weber’s management of the sand business. 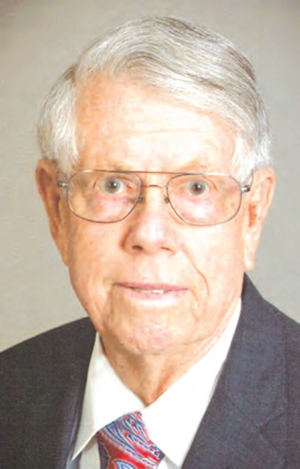 Burl was a 60-year member of the First Christian Church in Stillwater and a longtime member of the Galilean Sunday School class. He loved his church and served in many ways. One of his most memorable contributions was how much he especially enjoyed cooking for the monthly men’s breakfast. Burl loved to travel with his family. While the children were growing up, the favorite destination of the family was Red River, New Mexico where many great memories were created. He and Rena enjoyed traveling with groups known as The Traveling Dozen and The Super Six, also with the Erwin’s and the McHendry’s. They traveled nationally and internationally. He also loved to fish and hunt. He was a member of Bassmaster’s of Stillwater where he won several awards. He spent many great trips fishing in several states, Mexico, and Canada. A favorite destination of Burl’s was Colorado where he would spend time hunting deer and elk. He also loved traveling to Canada to hunt bear. He hunted pheasant in Oklahoma, South Dakota, Kansas, and Texas. He loved his family, friends, church, sports, and the community. He cherished being “Uncle Burl” to nieces and nephews, but most of all he loved being called “Dad” and “Grandpa”. Arthur is preceded in death by his parents and brother, Wayne Carrier. He is survived by his loving wife of 63 years, Rena Carrier; three children, Russell and wife Lynda of Stillwater, OK; Shelley and husband, Mark of Enid, OK; Terri and husband, Richard of Broken Arrow, OK; grandchildren, Ashley and husband Tanner, Ryan and wife, Desirae, Kelsea and husband, Ryan, Katie, Sarah, John, Marcus and Faith; great grandchildren, Eisley, James, Kinsley, Jayci and Bella; step grandchildren, Mason, Jennifer, David and Jacob; step great grandchildren, Leah and Ava; sister-in-law, Roberta carrier Cross and family; cousin, Gene Hentges and family; brother-in-law, Larry Rupp and family. Memorial contributions can be made to the American Heart Association or to the First Christian Church.